Everyone knows how to delete browsing history of Google Chrome by hands. Did you know that you can automate this process and clear Google Chrome browsing history on exit? Each time you exit your browser, it will clear its history. Just keep in mind that Chrome won’t clear its browsing history for one site, all data will be deleted. If that’s okay for you, let’s ding out how to program such ‘cleaning’ on exit. Why Clear Browsing History in Google Chrome? If you use a mac on your working place or share it with family members, you hardly will want others to know what you are googling for. Every person on earth has the right to privacy, and if you want to keep some information in secret, why not? As for me, I had such a situation while looking for a birthday gift for my girlfriend. It had to be a surprise, and I had to clear my browser history in Chrome to make the magic happen. This is just one example, and you may have your personal situations. 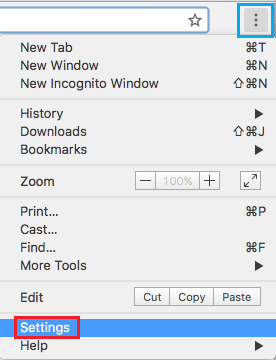 You may wonder why not use the Incognito mode, as it doesn’t save any history and cookies. Well, this is convenient if you want to google for something strange and don’t want anyone to notice that. In a case with gifts and surprises, you need your passwords in online stores and that could be a problem. I personally don’t remember all my passwords and many of them are filled in automatically. No one will type my data if I use an Incognito window. Moreover, it takes time to type in your email and password in every online shop. Auto-fill capabilities of Google Chrome is what makes us find how to clear browsing history on exit. Unfortunately, you can’t clear browsing history on exit automatically, but you can clear cookies and cache. Be ready to either use the Incognito mode or delete history manually. It is not so difficult, so I don’t see any problems. Find the ‘Privacy’ section and select ‘Content settings’. Go to ‘Cookies’ and put a mark next to "Keep cookies and site data by default until you quit your browser". They will do everything for you, or you will go to the Chrome menu, find History and clear it manually. Simple!